***OPEN HOUSE SATURDAY, MAY 13th 2-3:30*** This lovely home built by Vertex is 1476 sf, has 4 bedroom, 2.5 bathrooms and is looking to find it’s new owners! The ultra-stylish and modern open concept design of the main floor is perfect for entertaining guests, or just relaxing together as a family after a long day. Large patio doors and many windows allow loads of natural light into the home and a west facing deck off the dining room is great for backyard bbq’s during the summer months - with no back neighbours you will enjoy breath taking sunset views over gorgeous prairie fields. 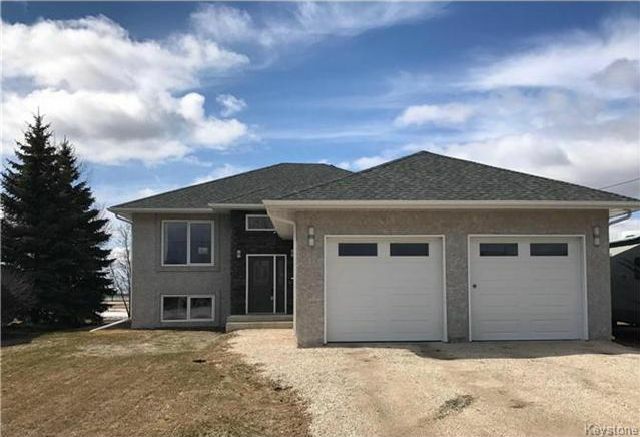 This home was built in 2012 and features a full master ensuite, 9' lower level ceilings with massive windows, an oversized double car garage and so much more. Located just 25 minutes from Winnipeg and Portage la Prairie. Call your realtor today to book your private showing.